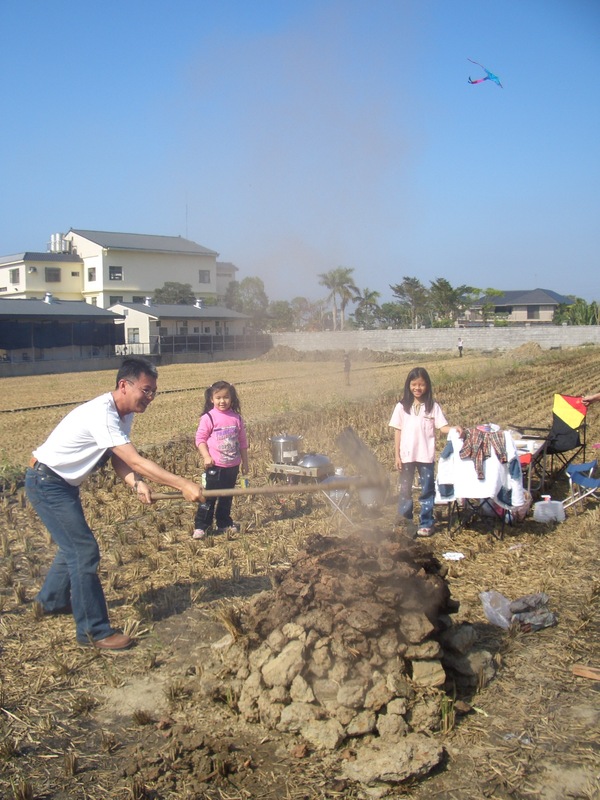 “Taiwan Earth Oven” is a kind of popular cookout activity without any kitchenware in Taiwan. It usually piles up with earth into the shape of tower, the firewood was put in the middle of this earth oven. Foods will not be put into the earth oven, until the earth oven was scorched well, and then devastate the earth oven to stuffy foods. Most of the foods are easily to grill, like corns, water bamboos, sweet potatoes, taros, and chicken.